Cross State Rock Island & Katy Trail System: Where are we? What remains to be done? 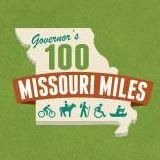 With the announcement last week that Governor Nixon and Missouri State Parks intends to complete a long-awaited piece of the Katy Trail-Kansas City connection in 2016, it brings up the question: What will it take to actually complete the potential 217 mile Rock Island Trail across Missouri? What are the different sections of the potential trail? What other existing trails will they connect to? Who owns each section? What is the status of each section? This summer, forty-three pedestrian, bicycle, trails, health, disability, and community organizations came together to send a united message to more than 400 Missouri elected officials and decision makers. The sign-on letter went to Missouri legislators, members of Congress, Governor Nixon, MoDOT leadership, and transportation decision-makers across the state. Add transportation choices--such as walking and bicycling--that far too often are simply not available to Missouri residents. What can cities do to improve bicycling and walking? What are the first steps they can take, how can they build support of residents, city staff, and elected officials? How can they overcome obstacles and objections? How can they find funding and make effective plans? Today MoBikeFed was very pleased to be part of a presentation at the 2015 Missouri Municipal League Conference, alongside representatives of Warsaw and Lee's Summit, talking with city and county officials from across Missouri about these issues. The important multi-decade initiative to connect the Katy Trail system across the state, from state line to state line and to St. Louis and Kansas City metro areas on each end of the state, is will reach a major milestone next year, according to an announcement by Governor Jay Nixon today. September 14th, Amtrak began offering bicycle roll-on service on the Capitol Limited route, which serves numerous bicycle and trail friendly communities in the eastern U.S.
MoBikeFed has been part of a national coalition of bicycle groups who have been making a concerted effort to improve bicycle roll-on capacity on passenger trains across the U.S. Bicycle roll-on service has been available on the Missouri River Runner routee, which parallels the Katy Trail across Missouri, since the late 1990s when MoBikeFed leaders approached state legislators and Amtrak officials with the idea. Bicycle roll-on service is nearly universal on European trains, but still rare on U.S. passenger rail. Amtrak will be being offering greatly expanded and improved bicycle roll-on service on Missouri routes, including the River Runner, the Southwest Chief, and others, when new rail cars are delivered in the next few years. We are strongly encouraging Amtrak to expand this pilot project for bicycle roll-on service to many more routes across the U.S. as quickly as possible. As a League of American Bicyclists Certified Instructor (LCI #4661), I teach people how to ride in traffic. A big part of it is about learning to safely coexist with cars, trucks, buses and even other cyclists. Traffic can be pretty intimidating for most folks until they get used to it. But it’s about more than just safety. It’s also about how to ride well because when we ride well, cycling becomes more fun. Here are three easy ways to ride better and have more fun cycling as a result. Use all of your gears to better control cadence and ride further and faster with less effort. Do you want to go faster and further while feeling more relaxed? Then focus on cadence instead of speed! Cadence is your pedaling rate measured in revolutions per minute. Keep it as steady as possible…ideally between 75 and 95 revolutions per minute, even if it means dropping to a lower gear and slowing down when climbing hills or pedaling into the wind. How can you tell what your cadence is? A cycling computer will measure it for you. If you cycle on roads surrounded by motor vehicles, you already know just how important it is to follow traffic laws and anticipate problems before they occur. Doing so will go a long way towards keeping you safe. Many cyclists ride an entire lifetime without having any serious encounters with cars. Here’s hoping you’re one of them. The Missouri Rock Island Trail, Inc. (MORIT) has hired Greg Harris of Rolla, an experienced fundraiser, as its first executive director. Missouri Rock Island Trail, Inc., (MORIT) board members hired Greg Harris of Rolla as MORIT’s first executive director at the June 1 board meeting in Stover, Mo. Board members discussed the possibility of hiring an executive director at the March meeting as Chrysa Niewald, MORIT presi- dent, said the work was becoming too much for the board president and volunteers. After reviewing Harris’s application, the board believed he would make a good fit. “The board unanimously approved the decision and feels it gives credibility to the board as we move forward,” Niewald said. Recently, MoDOT announced a visioning process for the I-70 corridor. MoDOT is asking Missourians to submit their innovative ideas and vision for what I-70 should be. With MoDOT currently undertaking a national search for a new MoDOT Director, the direction the agency takes on I-70 is likely to set the tone for MoDOT's immediate future. TAKE ACTION: Take a few minutes to let MoDOT know your thoughts about the future of the I-70 corridor--and please include some of the innovative ideas we suggest below. Take Action: What innovations for I-70 can you suggest that will improve bicycling and walking along this corridor? Please take the time to respond to MoDOT's request for innovation on the I-70 corridor on its Road to Tomorrow website. Passage of the federal transportation reauthorization bill--which has had a very rocky time over the past half dozen years--took a major step forward today. The Senate Commerce Committee passed its portion of the act, which contains several important provisions affecting bicycling and walking. Missouri Senators Blunt and McCaskill are both on the Commerce Committee and played a key role in the negotiations that led to the bill's passage today. Of all the things that keep non-cyclists from saddling up and riding, none is greater than the fear of being struck by a motor vehicle. I understand. It wasn’t too long ago that I felt the same way. Now, not so much. Part of the reason why is that I’ve ridden a lot of miles on the road. I’ve also learned what’s likely to happen and how to avoid the bad stuff. That’s what I want to share with you today. First things first. If you ride safely and with confidence, the odds of being struck by a motor vehicle are pretty low. In fact, approximately 50% of all bicycle-automobile crashes are the fault of the cyclist, and these are 100% avoidable. Ride with traffic, not against it. Follow all traffic laws all the time, not just when somebody’s looking. Pay particular attention around intersections and driveways. Assume they can’t see you. These easy steps you can take that will reduce the risk of a crash by close to 50% and they’re entirely within your control. So what else do you need to know? Here’s a short list to keep in mind before you head out for your next ride. Walk Friendly Communities is a relatively new national program dedicated to creating and recognizing cities that are working to create a great walking environment for their citizens. The Kansas City area is taking steps to become a national leader in the Walk Friendly Communities movement, and we encourage cities all across Missouri to follow suit and work towards officially recognized Walk Friendly Community status. Earlier this month, the Mid-America Council (MARC), KC Health Kids, and the City of Grandview organized a Walk Friendly Communities training. A large number of communities from across the Kansas City area were represented--and a few communities from across Missouri and Kansas. Walk Friendly Communities is a national program that recognizes communities that show commitment to improving walkability and pedestrian safety with a comprehensive set of programs, plans and policies. The program can award different levels of recognition: Bronze, Silver, Gold or Platinum.